Interesting article. The only reason they sounded familiar to me was because they played East very early in the season (have a daugher at East). WA won by 20. Panthers have signed Jared Norris to a 2-year extension. Well done, Jared. Des News is saying Langi signed with Donkey St. I think I remember seeing not long ago he was looking there but isn’t that a bit of a surprise? Hopefully we can keep the other 2 here. Too bad this isn’t happening this coming year. all coming back as well. Anyone have any insight as to when KW might get the OC hired? I am guessing/hoping very soon after the bowl game? Is he waiting to not cause any distractions or what might the holdup be? 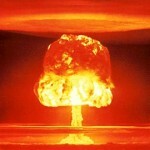 With recruiting, you would think this would get done sooner than later. Or, maybe he will just promote Harding so he isn’t all that stressed about it? The trio from Bingham – any of them signing today or waiting until Feb? I thought position coaches and OC/DC hires are up to the Head Coach. The Head Coach is hired by the AD. If that is true, why would Harlan be involved with the OC hire? I think this is KWs call. 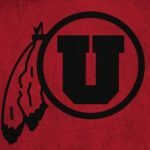 If you are on IG, looks like Moss has removed all pictures and references to Utah Utes football. Sure seems like he has played his last game in Utes gear. Thoughts about the Jazz bringing back Horney as the top assistant now that Igor is heading to Phoenix? Hey all,I have a friend from out of state looking to buy 2 season tickets for next year. If you know of anyone looking to sell 2 seats please DM me and I can get you in touch with them.Thanks. I could be wrong but wasn’t Dave Schramm the OC that year? Also, we had scored 3 points that game going into halftime, trailing 10-3. A little different situation than what is being discussed here. Wasn’t that the year ARod went to Washington for a short time and came back? ARod was then Co-OC with Schramm in 2010.